(CBS/KCTV/AP) KANSAS CITY, Mo. - Crews looking for 10-month-old Lisa Irwin, whose parents said was abducted from their Kansas City home, have extended their search to a nearby heavily wooded area, an industrial park and the sewers. About 100 officers scoured the industrial park and adjacent woods Thursday morning. Some searchers were seen lifting sewer drain covers and looking inside. 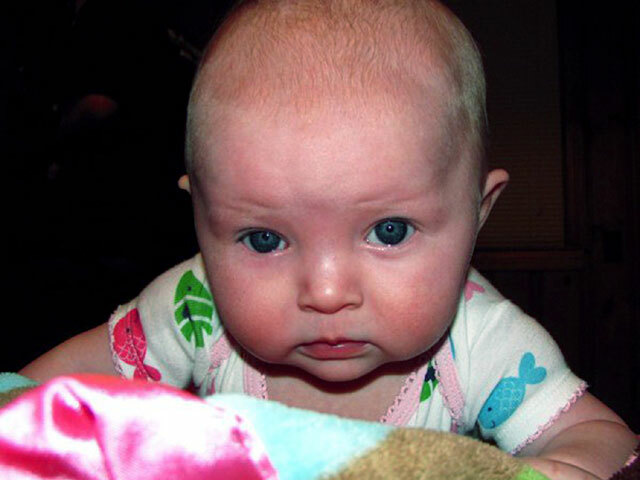 Lisa's parents say the infant disappeared from her crib either late Monday or early Tuesday. They said their cell phones were stolen but that nothing else appears to be missing from their home, reports CBS affiliate KCTV. Jeremy Irwin, Lisa's father, said he came home from his overnight shift around 4 a.m. Tuesday. He noticed a window opened in the front of the house. After checking on his sons, 6 and 8, he went to the bedroom of his daughter and noticed she was missing. Lisa's parents said early Thursday morning that they can't think of anyone who would abduct their child. They also said that no one had shown an unusual interest in her before she was taken. Police said they have followed up on nearly 50 leads between Tuesday night and Wednesday morning. Lisa has blue eyes and blonde hair. She is 30 inches tall and weighs between 26 and 30 pounds. She was last seen wearing purple shorts and a purple shirt with white kittens on it. The baby is described as having two bottom teeth, a small bug bite under her left ear and a beauty mark on her right outer thigh.